Recently I purchased Giverny In Bloom from DSH Perfumes (which I freaking LOVE!) and with it Dawn sent me some DSH Perfume from the Peace, Love & Perfume project. Peace, Love & Perfume is Carlos J Powell’s facebook page and he has been working with a few of the world’s best independent perfumers bringing to life their ideas of how Peace, Love & Perfume could be constructed. It’s a really interesting idea and I love that people are getting on board and letting their creativity free. Graprefruit, almost photo realistic, bursts out of the atomiser. It’s ultra sweet, clean, fresh and vibrant. There is the merest hint of far off urinals that makes it a little dirty too and while I don’t get cognac per se there is a very alcoholic undercurrent. We are in the middle of summer in Sydney and Jin has just discovered how to make dacquiris, Perfume smells like a Dacquiri tastes: delicious, tart, cooling and alcoholic. As Perfume softens the citrus becomes a player rather than the lead and a refreshing green herbaceousness twines through with lovely hints of sweet fruitiness. Interestingly, just as you think the citrus is about to give up the ghost back it comes full force. How does that happen? So good. Then later on the grapefruit and musks turn up a very nice sweaty vibe. Did I mention the longevity is excellent with Perfume. It’s cologne-ish but ever so much more. From DSH Perfumes: DSH Perfume is a rather unorthodox pairing of grapefruit, rhubarb, and cognac accented by a luscious tropical fruit accord with green notes of basil and pittosporum to create the “fresh cologne” aspect . A vibrant jasmine heart dries down to a surprisingly creamy ambrette, guaiacwood, and vetiver finish. This is definitely a modern twist on the ‘eau de cologne’ design concept. We’re releasing 50 Limited Edition Extrait flacons (5 ml Antique presentations) of Peace and Love (retail price: $105); Perfume will also be released as a Limited Edition of 50, 10 ml spray flacons in Cologne Absolue strength (retail price: $48). Go check out DSH Perfumes, there’s something for everyone at an excellent price point and Dawn does excellent samples and extras with every order. 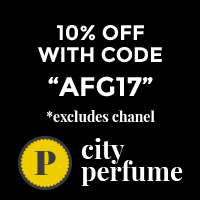 Which is your fave Indie Perfumer? Have you tried Dawn? I’ve almost finished up my bottle of Love out of this series. I wore it all winter and it layers very nicely with some rose perfumes that I have. It gives them a little more depth. I really want a bottle of Peace. Those 10ml bottles are gone almost instantly, aren’t they? My Giverny is looking very low too. As you know I am a big fan of DSH and have been for a long time. I discovered Dawn’s perfumes about ten or more years ago when I was trying to find a dupe for Lanvin’s old Spanish Geranium. Dawn did a very lovely facsimile. Better yet, I discovered her other beautiful fragrances and bought a couple of things from her Essentials Studio. After that I was hooked and have been following her and buying fragrances from time to time ever since. I think my fav is still Mata Hari. While I have not purchased anything recently I’m sure I would like her grapefruity “Perfume” from the Peace, Love and Perfume Project. DSH grapefruits are great. I am still grooving on some old hoarded roller balls of her discontinued Pamplemousse en Plus- very different from the here current Pamplemousse. I love that you’re a long term Dawn lover. How lucky are you to have tried her early work? I have tried several DSH perfumes and they just miss for me. I recently, finally, got around to ordering some indie samples that have been on my list for way too long. I am shocked, I fell in love with three of them! There is House of Cherry Bomb *Pink Haze* and 1000 Flowers *Narcotic Flowers* and *Reglisse Noire*. I plan on buying all three. I will also be sampling the rest of the perfumes from both lines. Can’t win them all sadly but YAY for the new loves. I have been enjoying the 1000 Flowers line too. Love both your choices.